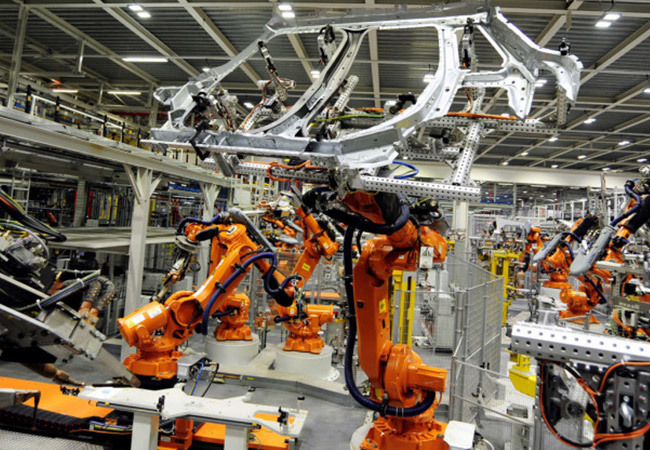 The MINI plant in Oxford, UK has been producing cars since 2001. 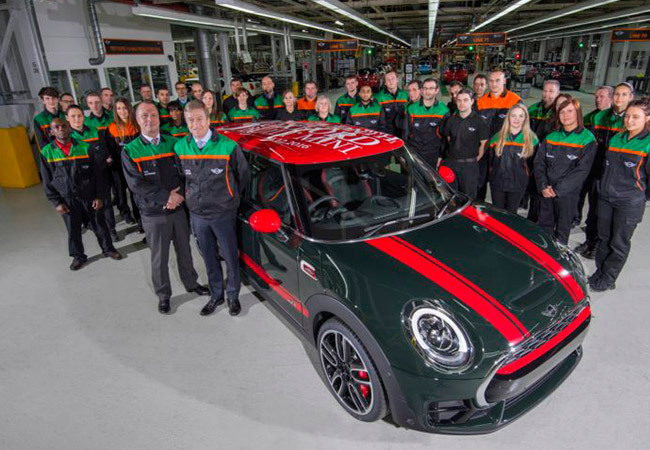 Now in its 15th year, the plant has just produced its three millionth car, a John Cooper Works Clubman. The JCW Clubman is the first MINI to have the Cooper Works performance enhancements as well as ALL4 all-wheel drive. The three millionth car was painted green with red racing stripes, which we suppose was a Christmas theme. The two millionth car, built in 2014, was a Volcanic Orange hatch that was sold to a customer in Japan. Back in 2001, the factory was able to produce around 300 cars per day. Now, the 4,500 strong workforce is able to build 1,000 units per day, literally one every minute. The Oxford plant currently builds the three and five-door Cooper models, the Clubman, and the JCW models. 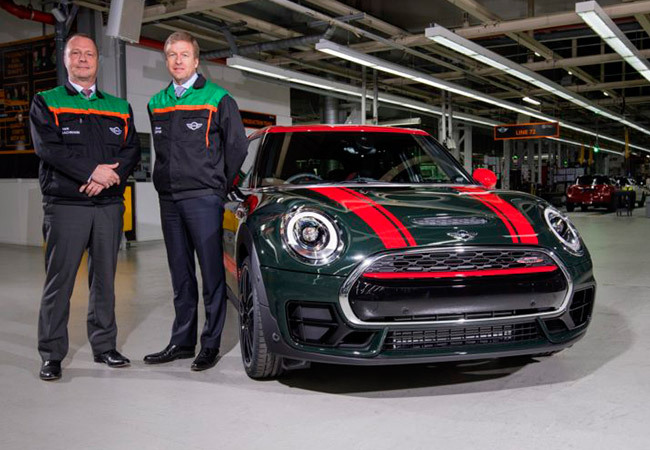 BMW has invested around $2.2 billion in the MINI plants which includes "a state-of-the-art paintshop, a high-technology body building facility, a new final assembly area, a new logistics center, Quality and Engineering Center and the MINIcademy, where the plant’s apprentices are trained." Since BMW took over, the MINI brand has become renowned as one of the world's premier small car manufacturers. There are few carmakers in the world that build affordable small cars with BMW-level interior quality. New Mini models come with some really nice features and are built to order, so no MINI is really identical to another. 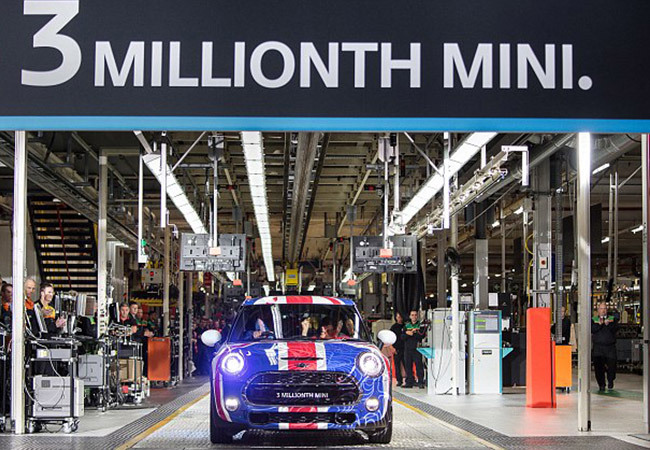 We congratulate MINI on its milestone, and look forward to seeing the company's four millionth model and beyond. Browse MINI Downtown's selection of MINI John Cooper Works vehicles here.